Andrea Albini is the CEO of the Albini Group, an Italian textile company. His other interest is w riting books and articles on ‘the history of science, technology and ideas.” A 2012 offering of his is Atlantide nel Mare dei Teste (Atlantis in the Sea of Texts). Albini is clearly an Atlantis sceptic, ascribing the story to Plato’s imagination. 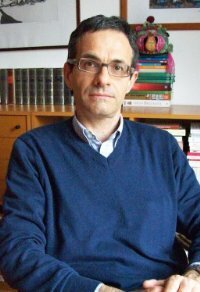 However, the comprehensiveness of his review of the main theories has been lauded by Professor Marco Ciardi(a).